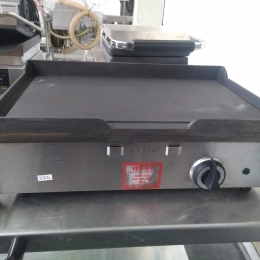 From used catering equipment to second-hand machinery for the food industry. As a producer or trader, you will definitely find the machine you are looking for thanks to Bart Rotsaert Machinery’s wide selection. 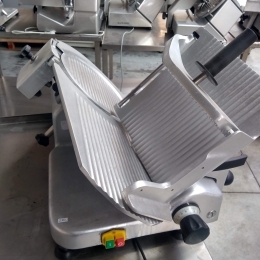 Whether you need used machinery for the food industry, butcher supplies or second-hand catering equipment, Bart Rotsaert is your ideal partner. Our offer is very diverse: from worktables to swivel tables and from catering equipment to conveyor belts. 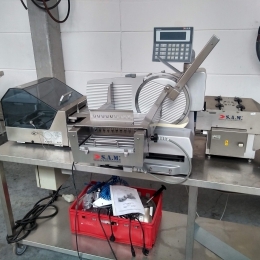 If our offer should not contain the machine you are looking for, we will address our domestic and foreign contacts to offer you the perfect solution as quickly as possible. Bart Rotsaert does not only offer all types of machinery, but also top-notch quality. 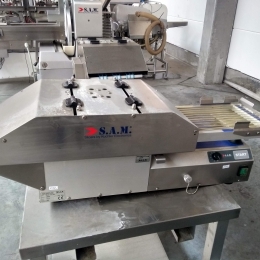 We realize more than anybody else that machinery for the food industry must meet a number of strict requirements concerning hygiene and safety. Which is why all our new and second-hand machinery are of the highest quality. We thoroughly clean and check each machine before we sell or rent it. Moreover, we collaborate with renowned brands such as Italmodular, Winterhalter, Treif, Smeva, Diamond and Leventi. Do you want to buy or sell machinery for the food industry? Do not hesitate to contact Bart Rotsaert Machinery. We are happy to help you find the perfect solution. If you want more information about a certain product, then please also inform us about the brand and/or type. Stay informed of our latest offers and subscribe to our newsletter.